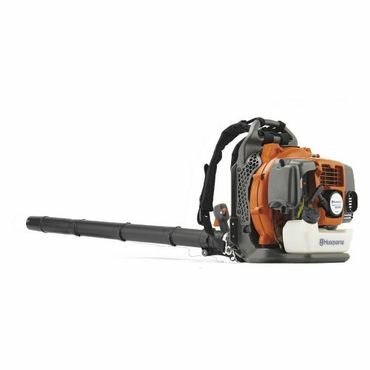 Reviewers say the Husqvarna 350BT is a terrific blower choice for those with large properties. In expert comparisons, its low-vibration, low-emission engine -- which meets California's tough air-quality standards -- is found to start easily and run smoothly. This backpack leaf blower has a two-year warranty. Extra powerful for large yards. 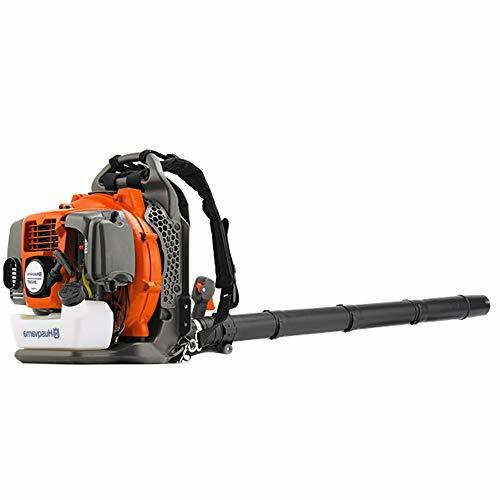 In professional tests, the Husqvarna 350BT proves to be one of the most powerful backpack leaf blowers. "It not only moves a lot of air, but the blast from its tube seems unusually productive," says Roy Berendsohn at Popular Mechanics. Users say the 350BT is effective on wet and dry leaves as well as yard debris, dust, cobwebs, snow and even gravel. It also can remove embedded debris from grass. The 50.2cc X-TORQ engine provides good fuel economy and reduced emissions despite its strength and size, reviewers say. Well-balanced and comfortable. The Husqvarna 350BT weighs nearly 23 pounds, but users say the harness distributes its weight evenly. Padded shoulder straps, adjustable handles and a hip belt make it "the most comfortable machine" in Popular Mechanics' comparison test. "We were skeptical about its hip belt until we started scaling steep hills and stone walls," says Berendsohn. "If you clear difficult areas, this is your blower." Reviewers also say it's easy to start, and they like that you can lock in the speed. Users will definitely need ear protection, but tests say that it's relatively quiet at distances over 50 feet, a plus for those who want to keep their neighbors happy. Standard maintenance requirements. Reviewers say the Husqvarna 350BT is well built and should run well for many seasons with standard maintenance. We read very few complaints about breakdowns, and users say this is typical of Husqvarna lawn tools. Maintenance is typical for a gas-powered machine and involves checking and/or cleaning the starter, air filter, fuel tank and cooling system, and replacing the spark plug, according to the manufacturer's schedule. Like all gas-powered garden tools, the makers recommendations regarding fuel and storage should be followed. The 350BT has a two-year warranty.